Osmanthus yunnanensis is a remarkable large shrub or small tree that was introduced to British gardens by George Forrest in 1923. The species was named 'yunnanensis' by Adrien René Franchet (1834 – 1900), a French botanist based at the Paris Muséum national d'Histoire naturelle. However it was later recognised as Osmanthus forrestii after being re-classified by Alfred Rehder (1863 - 1949), a German a horticulturist and taxonomist who worked at the Arnold Arboretum of Harvard University. 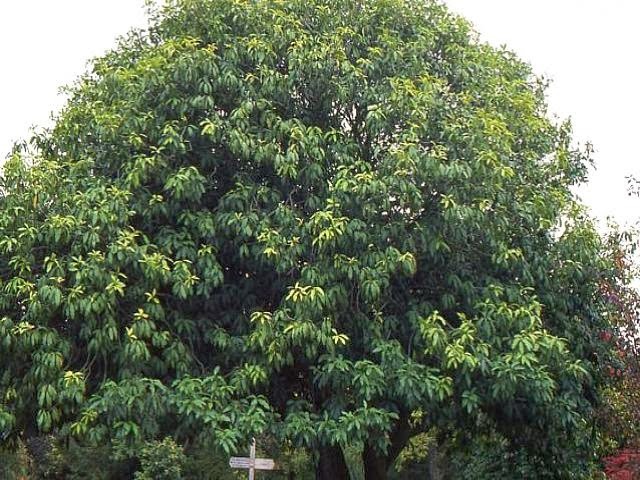 Native to the Yunnan district of China, it is a slow growing evergreen with an upright habit. Over time you can expect it to attain a height of around 13 ft and a spread nearer to 10 ft. The leaves of Osmanthus yunnanensis are a dark olive-green, lanceolate in shape and grow up to 15 cm long. They can vary from undulate and coarsely-toothed to flat and entire - both on the same plant! 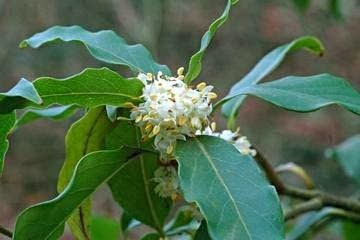 Osmanthus yunnanensis is happy to be planted in either full sun or partial shade in any well drained, fertile soil. If you have the space it is well worth planting near to a house door or a well-walked part of the garden to make the most of the blooms excellent scent. The highly fragrant, ivory-white flowers are produced during the late winter and can continue well into April. It has proven surprisingly hardy in the UK especially when grown in the south of the country or in sheltered conditions. However, flowering can be a little hit and miss and there is an odd practice that has been handed down from old-school gardeners who believe that it is the done thing to 'sniff' animatedly at the plant when in its locality. Why? Because they are implying that this will help the leaves to conjure up 'thoughts' of the spectacular flowers in a bid to encourage it to bloom. There is no accounting for the humour of old gardeners, or even reason! It gained the Award of Garden Merit (AGM) by the Royal Horticultural Society in 1967. What is the scent like and is it wafting (caught in the air)? Would it survive -13C?